We all love a good fairy tale that ends with a happily-ever-after, don’t we? The strange thing about fairy tales that we all notice is how dreamy the Princess Bedroom looked and we wished we were that princess. If you used to be a little girl yourself, you would surely know how that feels. 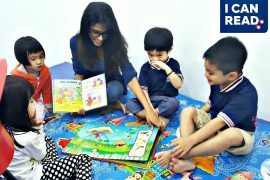 Though we may not live a life of a fairy tale now, we can surely create one for the little princess in our house. And the best way to do it is right in her bedroom. Let’s check it out! 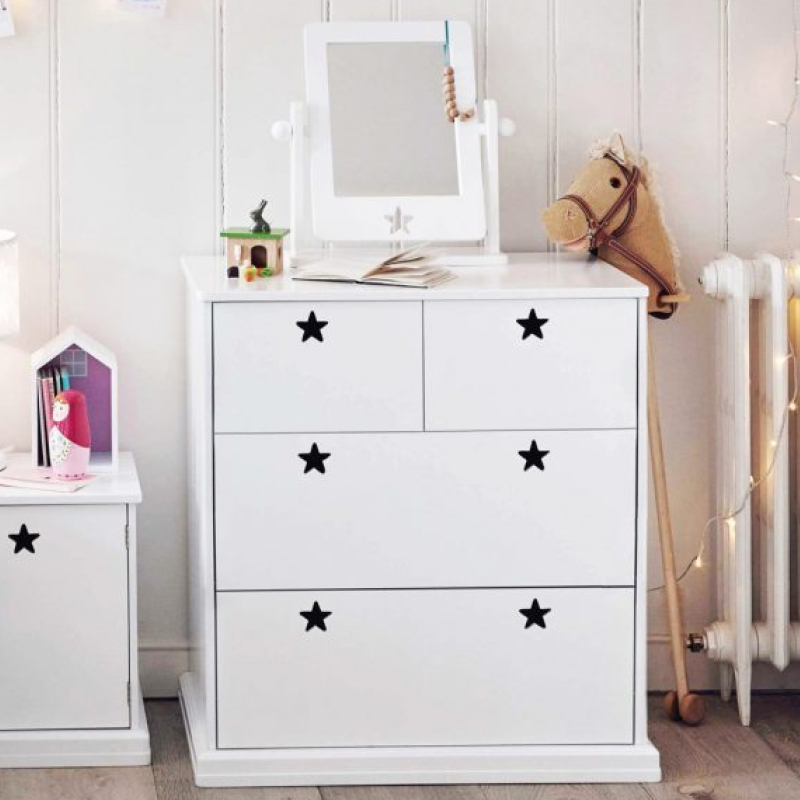 We’ve asked the ‘magician’, Piccolo House on how to create a Princess Bedroom from the range of children’s furniture that they have. 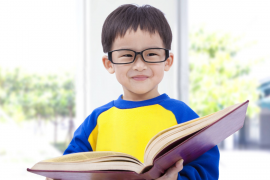 Psst… Just to give you a heads-up, Piccolo House is a 10-year old Singapore reknown brand offering tried and testing, high-quality kid’s furniture that has just set foot on our soil! Now let’s ride back to the world of magic and princesses… We’ll show you how you can magically create your very own princess bedroom. By the way, this is a creation by Piccolo House for one of their Princess client. Definitely, a princess room, don’t you think? First up, here is a simple illustration of the ‘treasures’ you can find in a princess room. Every single furniture and accessory item you see here can be found in Piccolo House. Needless to say, the centre-piece of every princess room is the bed…. the place where sweet princessy dreams are made of. 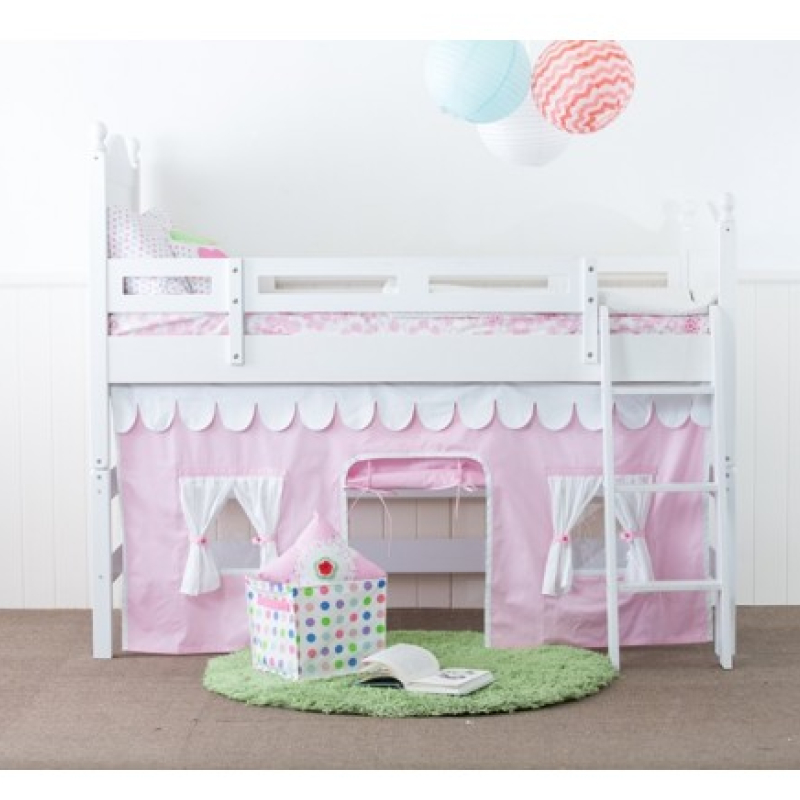 Piccolo House has a magical formula for their bed frame. 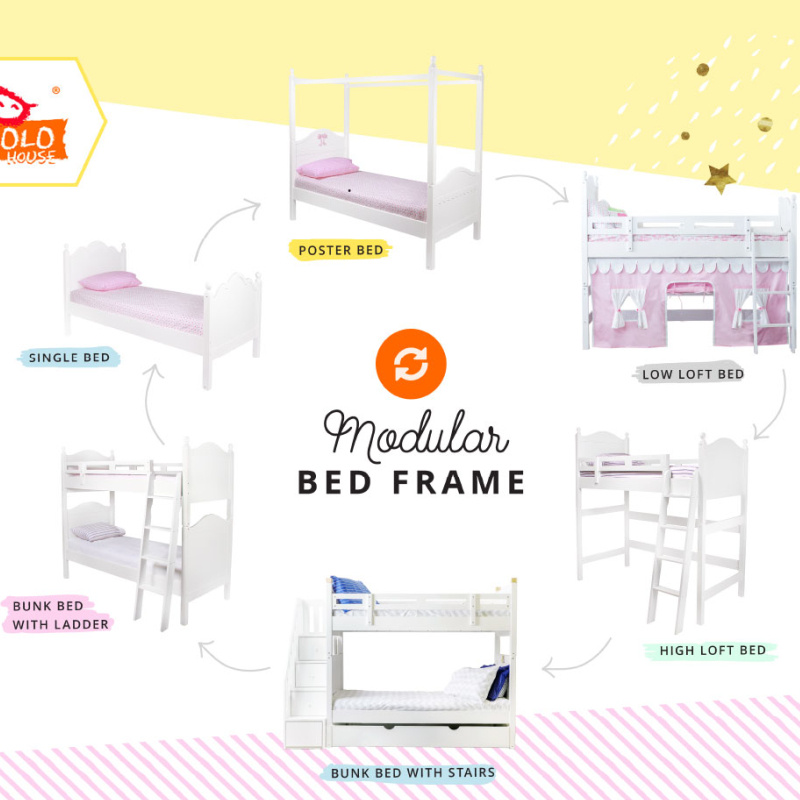 They call it the modular bed frame that can transform itself from a single bed to a poster bed or a loft bed, and even bunk bed with a variety of options to add a trundle bed or a storage staircase… that is if you have all the modular components to create that magic. Warning: You definitely need more than a stroke of the wand! For princesses who are fixed on a particular princess style, you can go for a non-modular frame. Awww… Just notice how pretty the girly details on their furniture with sweet scallops trimmings and beautiful wooden ribbon headboard piece. Princess Emily Bed. If your Princess is named Emily, you must get her this bed! Next up, what’s a princess to do the first thing when she wakes up every morning? Sorry, it’s not to brush her teeth yet, but to adore her beautiful face at her dressing table, and maybe brush her hair too. 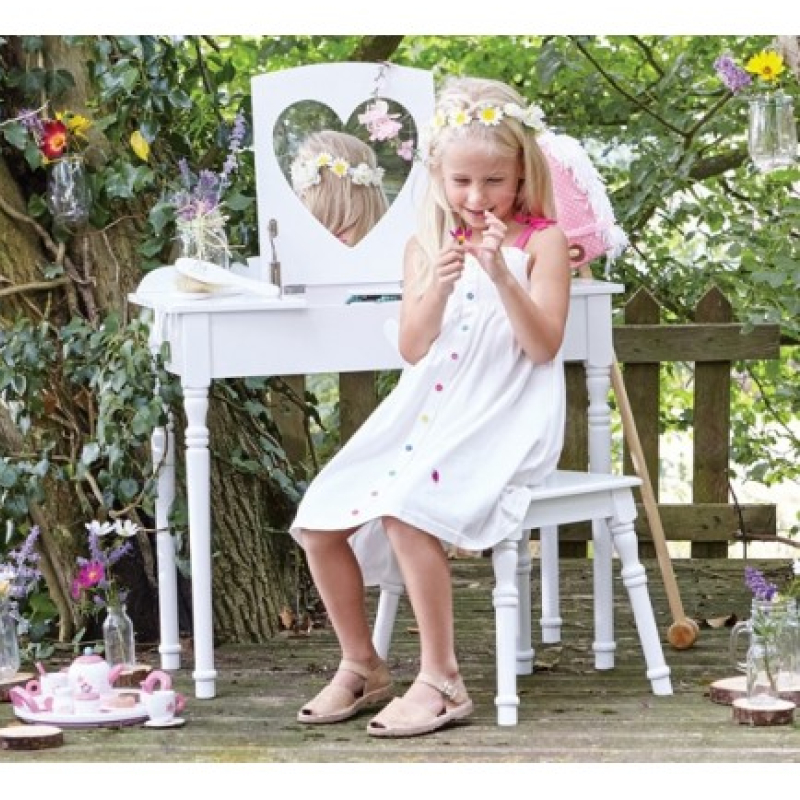 The GLTC Maisie Dressing Table & Stool set is the perfect fit for any princess. It comes with a dressing table with little drawers to stash her tiaras and such. Of course, a dressing stool for her highness and an oh-so-sweet heart-shape standing mirror to show off her cute little face. One of the important part of the day for a princess is to dress up. Here we recommend a GLTC Sweetheart Dressing Up Rail that holds the dress for the day. There are shelves on the top and bottom of the rail to place things such as her school bags, shoes and knick-knacks. 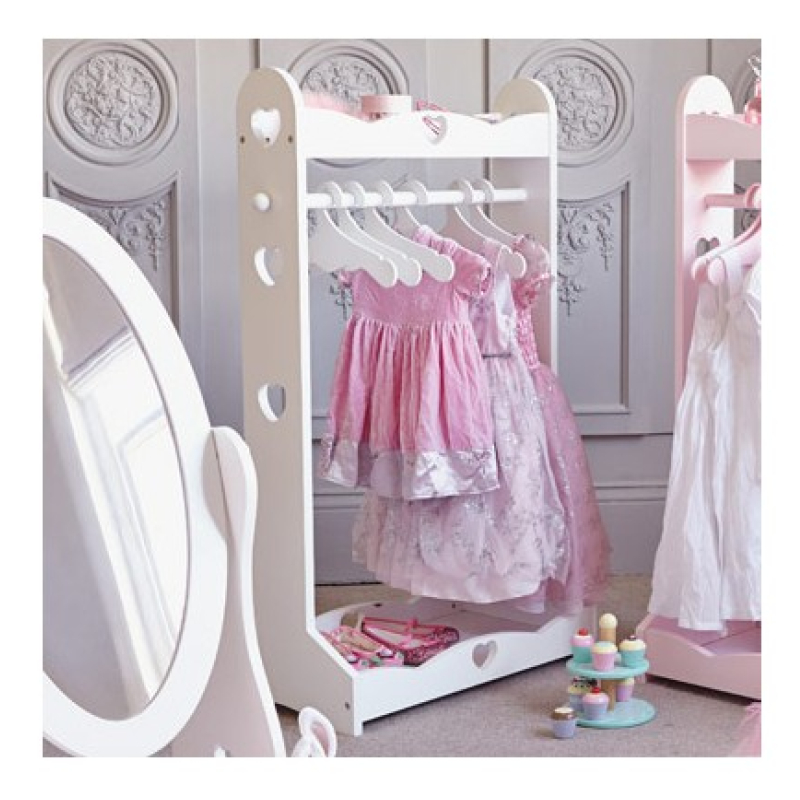 Piccolo House also carries a range of girly Chest of Drawers and Wardrobes to complete the wardrobe storage problem of a princess. We’ve covered the important furniture pieces that make up a princess room. Now we need to give the bedroom a magical touch. So we’ve consulted with our Piccolo House magician yet again for some magical tips. To have a beautiful closure, we will name a few of the things that will bring out the princess ambience in the room. One of our favourite things is to see a glittery hanging Chandelier light that dazzles and sparkles right from the middle of the room. Bedside tables are friends of frilly lamps, where a princess can retire for the night after reading a fairytale book from another faraway land. Luxurious beddings and grandiose curtains are a MUST to oomph up the ambience of a princess look and feel of the room. How about pasting some wall decals or wallpaper to expand the fullness of a princess room? Create a princess corner for her highness’s own private moment with draping canopy and plush cushions. Or even throw some royal carpets for your princess to roll on, during days when she isn’t feeling all that prim and proper. Finally don’t forget to label your Princess name in a place that is prominent in her room, to make her feel a true belonging of who she is. 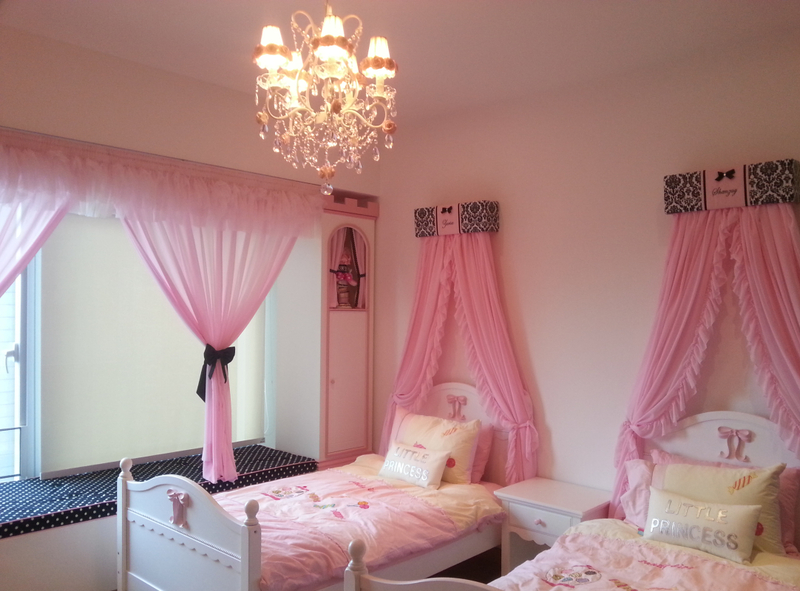 Imagine the exhilarating smile on your princess’ face when she enters her new bedroom? It will help her bring back fond memories for years to come. 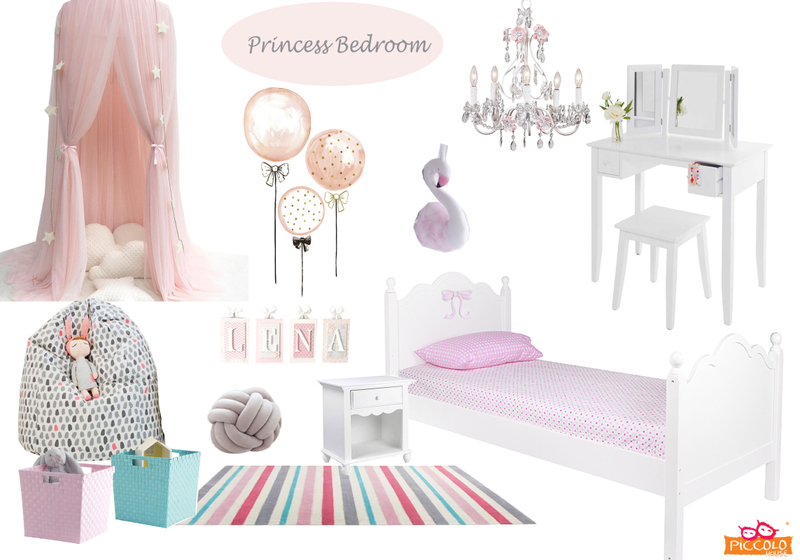 Do you have a princess room for your very own special princess? Share it with us in the comments below. 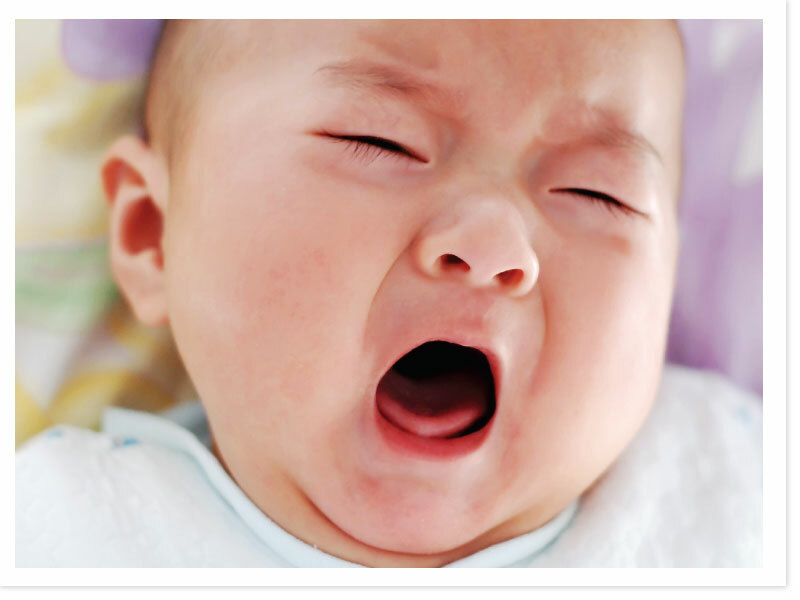 Visit Motherhood.com.my for your one-stop parenting needs.